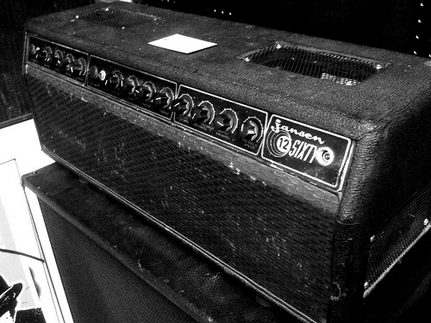 This is a 1960′s Jansen 12Sixty… basically a ‘hand made in New Zealand’ 60′s Fender. It is called the 12Sixty as it has 12 tubes and is 60 watts. It’s frikken’ loud and sounds great.And is hella rare.